Some genius folk have taken pity on the devoted parents staking out the sidelines of their kids sporting events. 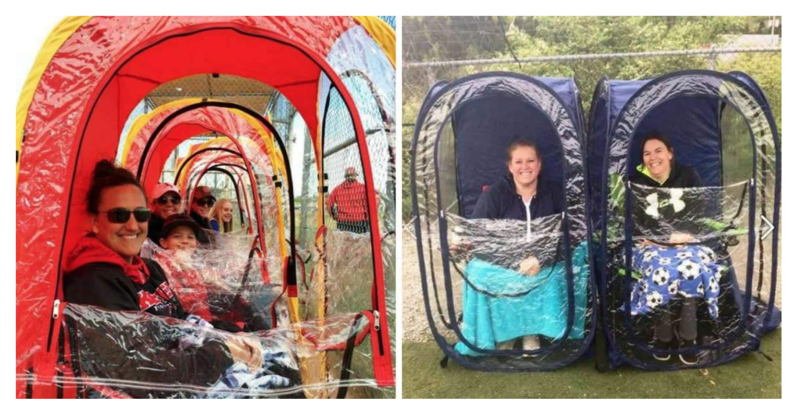 They’ve come up with these amazing wee tents that shoot up in a trice and then stow that supportive parent within as their child kicks goals or whacks balls. Under The Weather are the clever cookies in question and they’ve developed this product to help parents tough out games during inclement or dastardly weather. 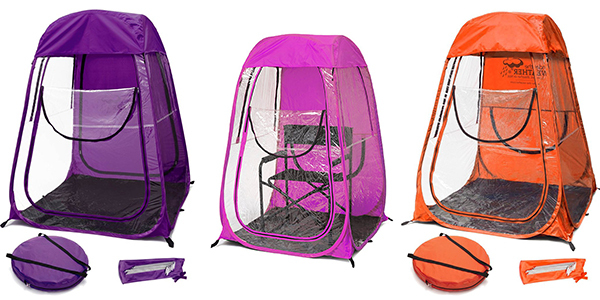 These tents look smart, are easy to assemble and pack down AND serve a very practical purpose. They also have the bonus feature of muffling uncontrolled expletive shouting (at umpire or other parents/kids) and almost mute embarrassing cries of “Come on Sweetie-Pops!” directed at sporty kids. 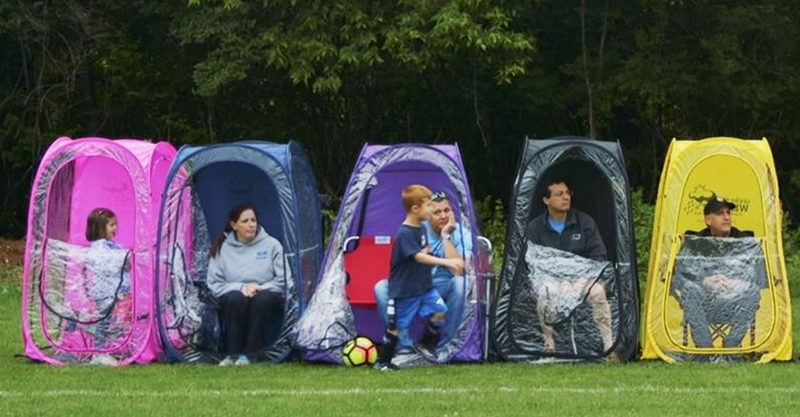 The MyPod tent – one of their entry level tents – retails for $100 and you can open the sides up to “connect” to other Under The Weather pods, in case you want to totally dominate the sidelines with your personally-tented family and friends. This is called a “Pod Party” and we are 100 percent here for it! Under The Weather market a larger model, the appropriately named XL at $130, for those who seek roomy luxury in their individual tents. And there are a LOT of other brilliant models, ensuring you can match yourself (or your mum or your kids or you Uncle Bert) with the perfect pod. These pods are also excellent for other outdoorsy pursuits like fishing and birdwatching, too. These cosy units come in a ridiculous range of colours and prints, and they ship to Australia for a fixed rate of $29.99. Genius!